Glamazon comes at you with the musical force of a Hurricane! Powerful | Melodic | Cutting Edge | Techno | Blistering Guitars. One of the few rock bands with a transgender lead singer who also plays guitar, Glamazon blazed the trail of musical innovation in the mid 90s. Electronica meets Metal | Rock ..
created a rock spectacle that was ahead of its time and still amazes audiences world wide! The pairing of The World’s Best Female Guitarist with a Transgender Singer | Musician as a front person, gives rock audiences much to wonder about. Their material combines aggressive metal with sophisticated electronica and midi equipment. A super-sonic experience as several critics put it. Granted, Glamazon could easily be dismissed as a novelty act or full of Gimmickry but make no mistake: Those two rock divas SHRED and their material is stellar. Christine was born a boy and transitioned into a beautiful, talented woman. Her experiences as a transgendered woman and rock musician are detailed in her extensive writing, as well as song material for Glamazon. She is a most respected advocate in the transgendered community and tirelessly furthers the cause of all. She is a published author and founded Glamazon Press, a publishing company, that not only showcases her work as a writer but also offers an opportunity to other transgendered writers, musicians, bands and artists to put their work out there. Music is one of Christine’s greatest passions and she found a worthy outlet in Glamazon. – shredding – melodic guitar ! 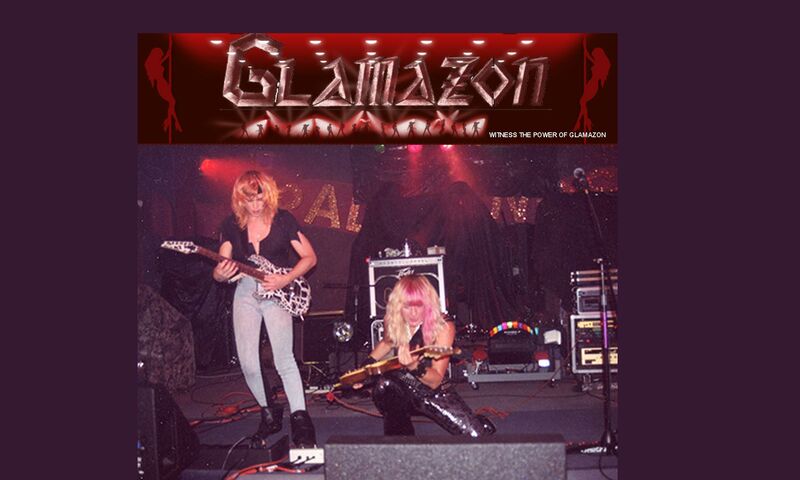 "Glamazon comes screaming at you with a hard hitting cyber rock style. Maybe the only Transgender Cyber Rock Band around. 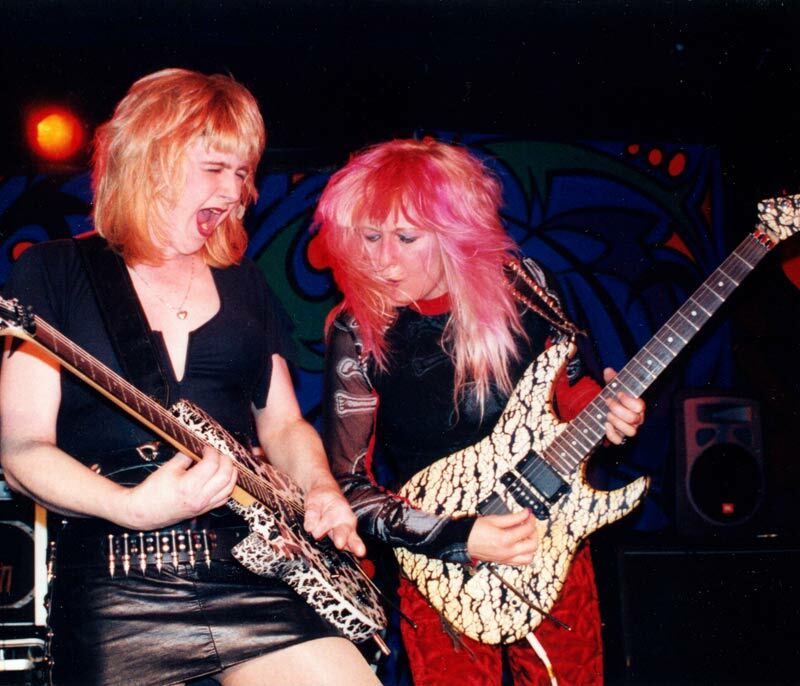 They consist of 2 women guitarists and sound like they have way more in the band, due to their great amount of talent"
Glamazon – Amazing Transgender Lead Singer Christine Beatty and the Best Female Guitarist The Shredmistress.